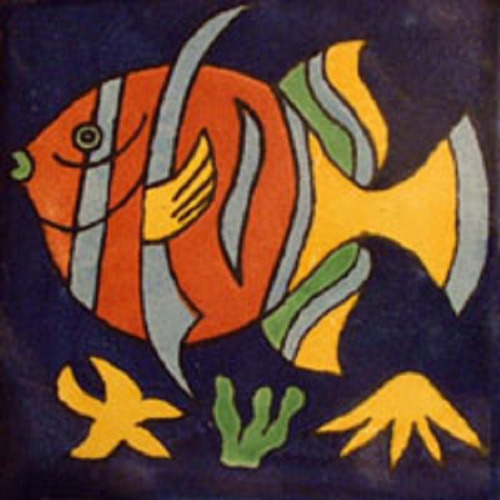 Mexican tiles in "Fish" style. Hand painted with blue, brown and green ceramic tile design over dark blue background. Shipping from Mexico to the US and Canada is estimated for four weeks. This tile pattern from Mexico was my choice for our bathroom and shower. We used it among other tiles as accents. The remaining tiles have similar to the fish tile background color.